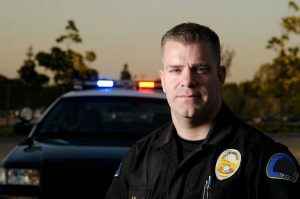 The International Foundation for Protection Officers (IFPO) is dedicated to providing meaningful, cost effective education for all levels of security personnel. Educational institutions as well as individuals have found the IFPO Programs to be a valuable professional development tool. IFPO membership is available for both individuals, employers and educational institutions. We offer a “Members Only” area on this web site with extensive information on key aspects of security training and related topics. Our security training programs are designed to work on their own or as part of an existing curriculum. Frequently, institutions of higher learning will include our programs in their courses of study. Miles Ellington, a student attending Alcorn State University, is awarded a scholarship to attend the Initial Security Officer Program (ISOP) Course! The International Foundation for Protection Officers is devoted to excellence in teaching, learning, and research, and developing leaders in many disciplines who make a difference globally. Foundation membership provides educational and networking opportunities at a substantial discount. It paves the way to professional development. Membership is available to both individuals and organizations. Industry and World Wide recognized membership programs. Considering a career in one of the fastest growing Industries? Perhaps choosing to explore a professional development or career opportunity? Explore the educational programs that the IFPO makes available. Multiple delivery methods that can accommodate your learning requirements. Industry and World Wide recognized. Whether you have 2, 10 or 100 employees you will find exactly what you are looking for amongst the IFPO educational programs. These programs can be delivered online or on site in a classroom, or by distance education/correspondence. Industry and World Wide recognized. 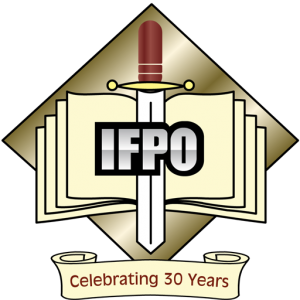 The IFPO programs can be delivered anywhere from a high school, local community college, vocational center or university. Complete instructional tools available which will include lesson plans, power points, testing plus more. Industry and World Wide recognized. Every month, IFPO offers a Monthly Scholarship that can help nominated professionals succeed in their industry. For more information, click below.